that have been working together for the past 18 years. Wojtek Staroniewicz, Erszkowski Michał, Erszkowski Jan, Mikołaj Trzaska, Robert Usewicz and many others. Larry is also the founder of the group Ikenga Drummers and the creator of Elelekulele music. He is equally an actor of the musical theatre in Gdynia. is presently a lecturer at the graphic department of the university of fine arts in Gdansk. Ex member of such groups like; The Plemniors, Galago Band, Int. Roots reggae Band, Suns Vibration. seating by his computer, and composing his music. a mentor and an inspiration to all members of the group. Przemek is a legend today in the Polish jazz family. carrier of many successful musicians in this part of Poland. In- short, a living legend. FILIP GAŁĄZKA: The youngest member of the group. Filip is a talented drummer born into a musical home. He has been playing on the drums as far as he can remember. He has taken part in many musical projects. 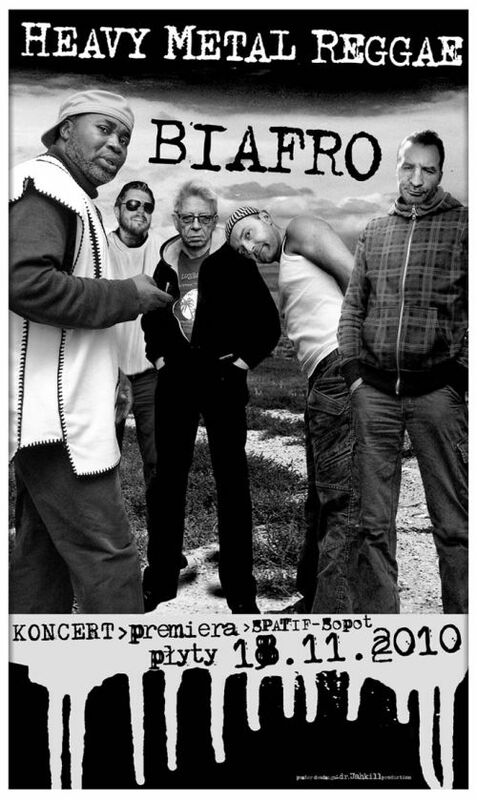 Bi.afro plays experimental music that is a blend of Roots Reggae, Afro-rock, Funky Trans and Voo Doo vibes. seventh heaven. 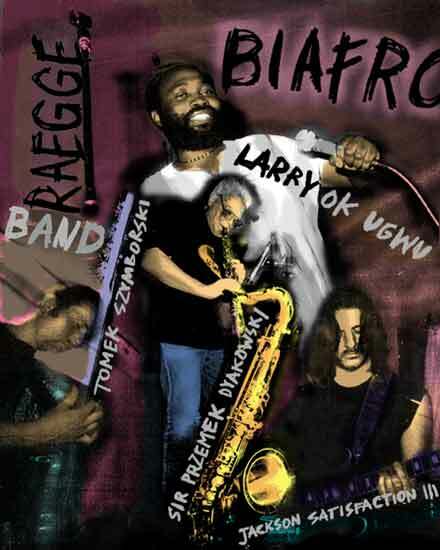 Bi.Afro is a five man band. SIR PRZEMEK DYAKOWSK I- Saxophone.